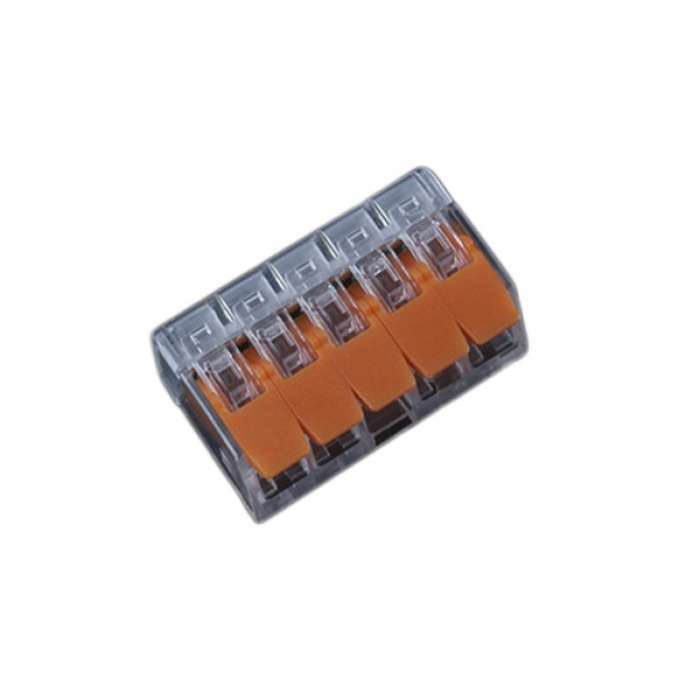 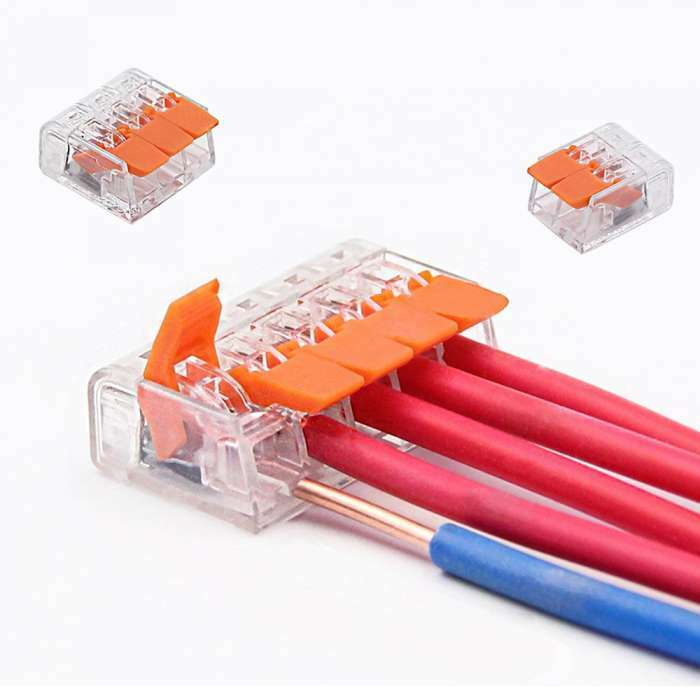 These wire connectors can be used for fine wire wires from 0.14 to 4 mm2, as well as hard and reinforced wires from 0.2 to 4 mm2. 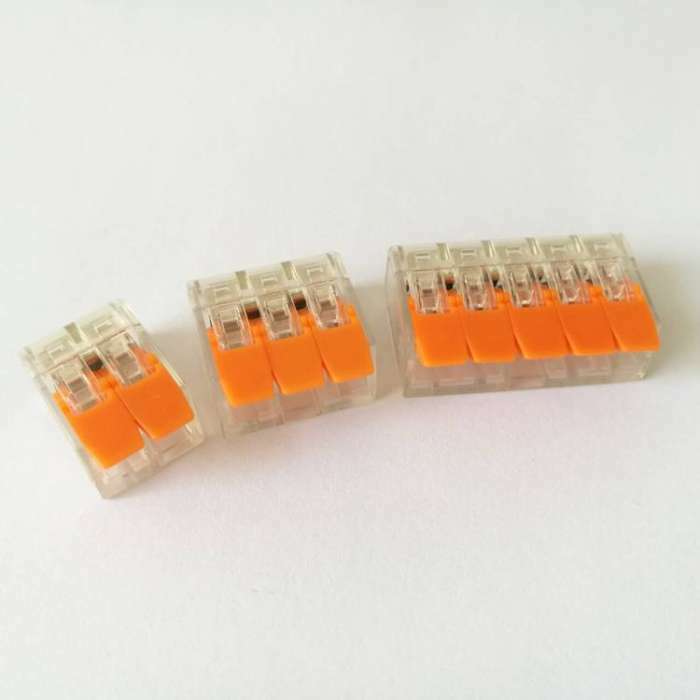 Wago Series connectors occupy 40% less space. 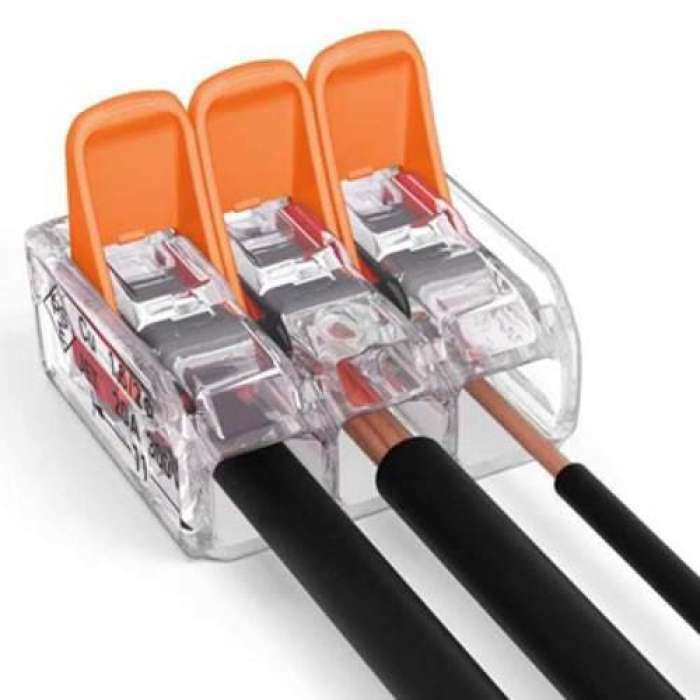 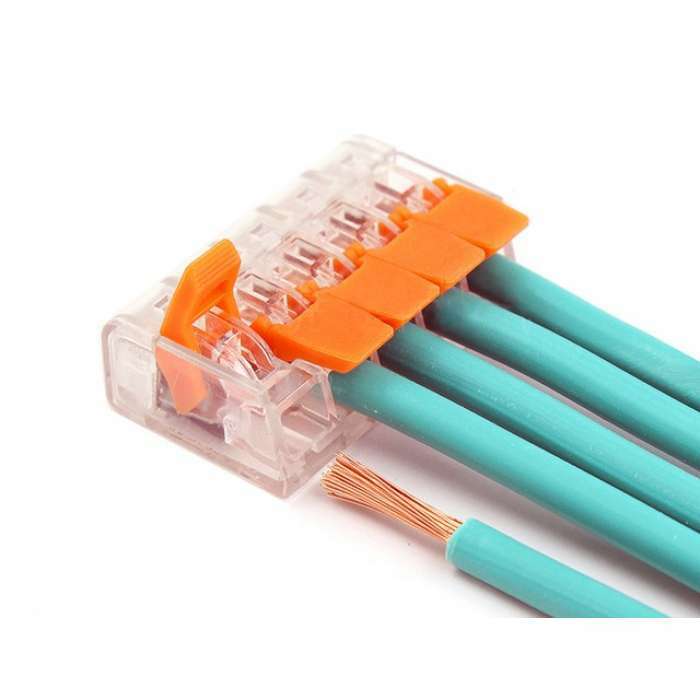 Not only are the new connectors smaller, but they also have transparent housings that allow installer connections to check the contact.